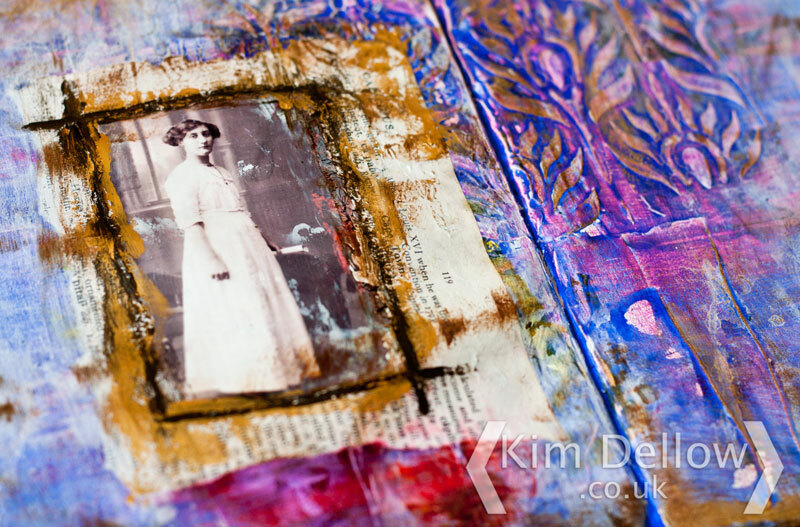 I have a painty Art Journal double page today for my Art Journal Sharing Thursday, but I’m not 100% sure that it is finished. You can see it as it is but I might add to it at a later date, we shall see. If I let it sit for a bit then perhaps something will talk to me. 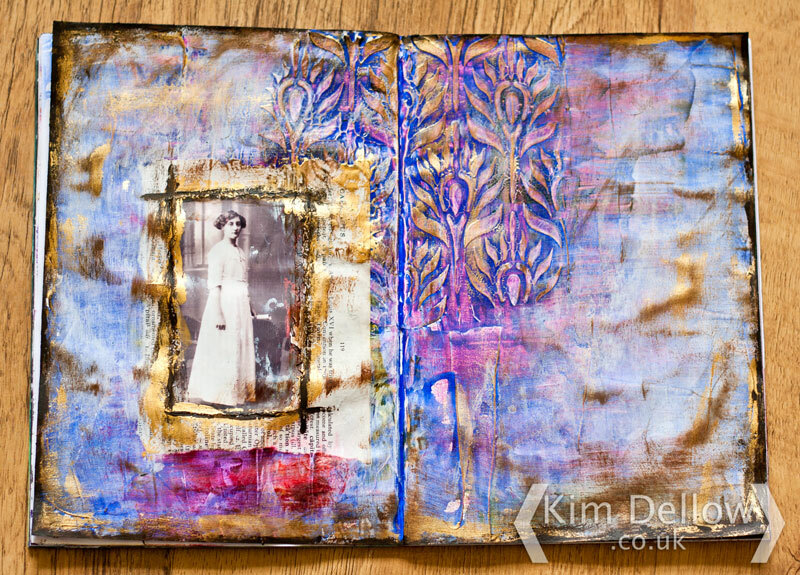 I’m working in my A5 Flier re-purposed journal and I started with some gesso for this one. 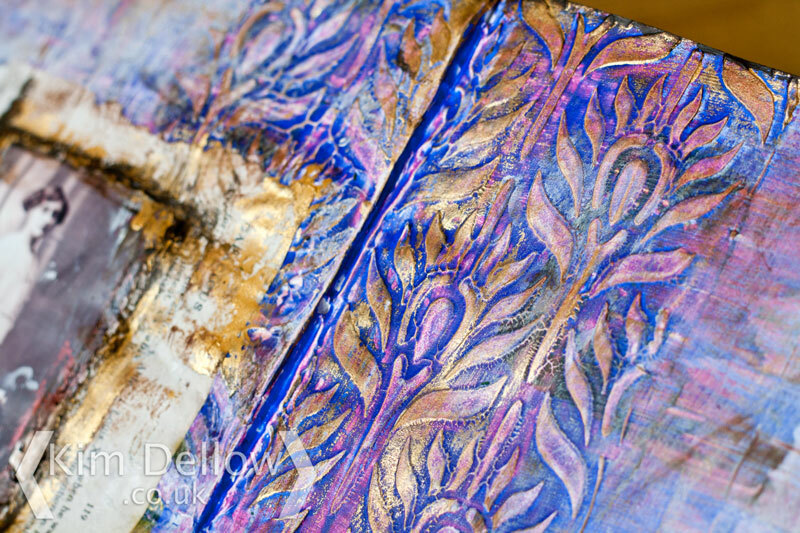 The page already had some ink from a couple of Archival ink pads on it from an earlier experiment and I added some texture with Gesso through a mask to give the peacock feather in the centre of the double page. I added some magenta acrylic paint then a glaze of blue followed by some gold paint in places for a bit of shine and contrast. Final touches from a coffee Archival ink pad and some brown paint. The old photo is one from my collection of old photos and postcards and I just love her wistful look to the camera, the white dress gives a haunted look don’t you think? She does look as if she is waiting for news, well that is how I feel today as I am also waiting for some moving house news which might be why the title jumped out at me! 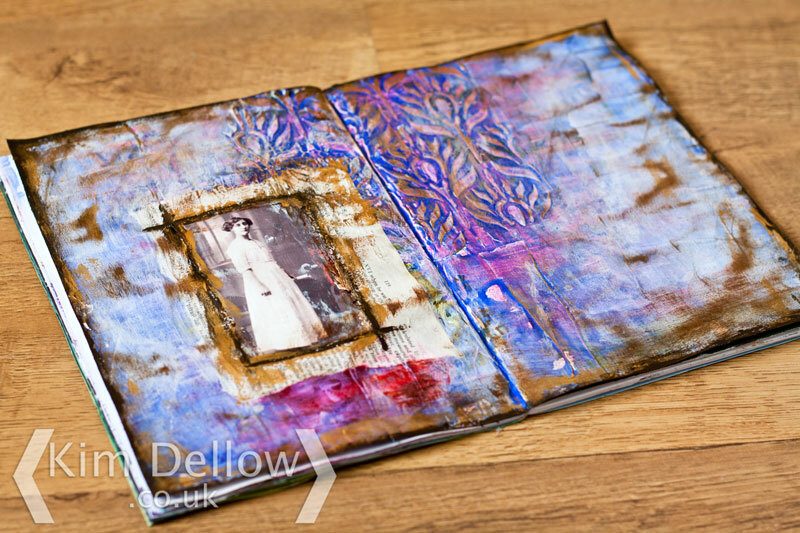 So that is my share today, feel free to put some links to your art journals makes this week in the comments and I will pop on over. I think some journalling about how the image makes you feel, a made-up piece of story. I think the peacock feather has turned out well. Nice pages in your pamphlet that seems to be going on forever. Kim Dellow; artistic recycler par excellence. Beautiful pages Kim. Thats the great thing about journals you can add to them when and where you like. Love the colours and backgorund texture. A very nice two page spread. This is delightful. The image brings it so much to life.